No one can say that humanity is not aware of the plights of the undead. With the Zombie Walk T-Shirt, you too can support this charitable event, which supports zombies everywhere in their protest against the continuation of undead hunger. This black and white t-shirt is primarily made of quality black fabric, which makes it rather comfortable to wear. The white makes up a majority of the design, which features bold worn letters and a horde of hungry undead. 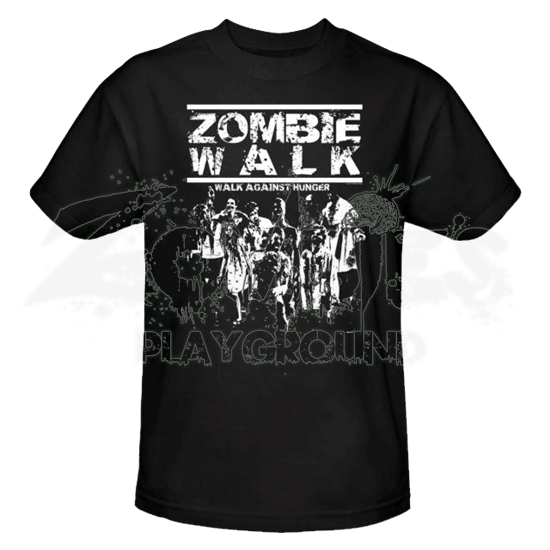 The words ZOMBIE WALK are printed across the chest of the shirt, with the phrase Walk Against Hunter printed just beneath. And beneath the words sits a black and white horde of the undead, as they walk, shuffle and trudge in protest of hunger, and likely towards their next meal. This shirt is made from 100% cotton and features a standard fit. 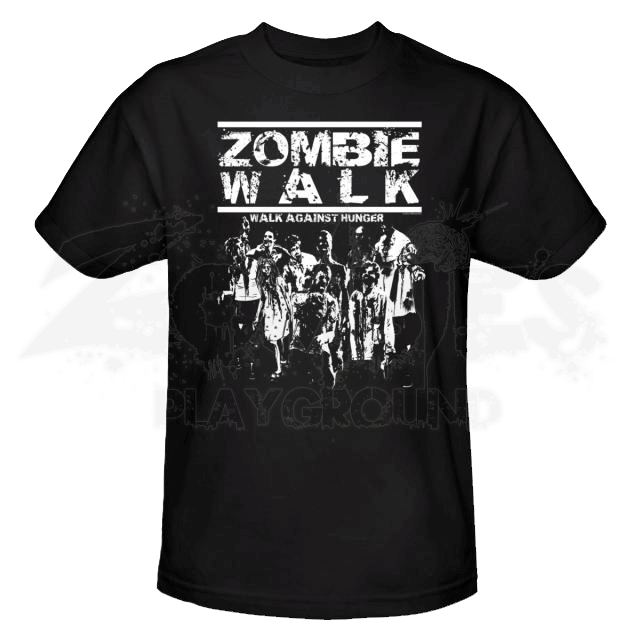 Zombies cannot always be the bad guys, so show your support of the undead with this Zombie Walk T-Shirt! Not only will zombies walk right past you in pursuit of other, more unsupportive survivors, it is also an extremely comfortable shirt that can be worn on a daily basis!